Top 25 most expensive domain name ever sold are in the table below. People create website and sell them to earn money, nothing new. But you might get shocked by listening that people also buy domain names to make money later. They just invest their money in buying cheap or expensive domain names and wait for the right deal to sell. This business is much like stock market. People in this business just buy a domain name in anticipation that in future they will get some decent amount for their investment. Similar task is done in stock market right. But while purchasing a domain name, you make sure that the name is sensible else it may come in the list of worst domain names ever or funniest domain names ever. Buying domain is not always profitable. People make huge loss also as premium domain names are to expensive and buying & renewal requires to much money to invest. But In stock market either you gain or you loose and in this atleast you have domain name. So, you can create the website or blog and earn money. One thing I observed in the list of most expensive domain name is that they are of one word plus they are highly searched words (1 million+) with high CPC and are extremely valuable. Another thing shocked me is all domains are .com and I can't see any .org, .net or .info listing. So, this shows the importance of .com domain name. Hope you are amazed by reading the list. I suggest you to join domain flipping business and if you found any amazing domain name available, grab it right away. You may later sell it and make some decent money from it. If you enjoyed this list of most expensive domain names, don't forget to share this with your Facebook and Google Plus friends so they can also learn this amazing lucrative business model. Have you ever did domain flipping yourself, do share you experience. You can also join SolveMyHow newsletter to get Blogging, WordPress, SEO and exclusive Web hosting tips right into your inbox ! I want to start a domain name selling business. 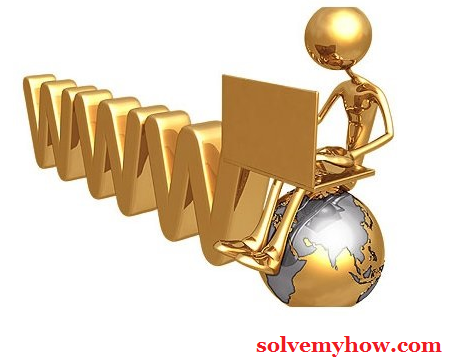 How to start selling domain name? Which is best sites for buying and selling domain name? You can either park the domain on Godaddy or Bigrock or you can also host the page which show "this domain is for sale". Or you can visit sedo.com to sell the domains.